In preparation for the bargaining of the successor agreement ETA members have begun to work on recommendations for the bargaining team to consider. 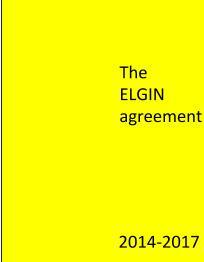 Some of this work is done jointly as prescribed by the Agreement (i.e. Appendix F), other groups will bring recommendations forward through their committee structures (i.e. TAP, SEC, IC), and while others still will be ETA members only (i.e. Contract Improvement Committee). Please contact members of the respective committees directly with any questions or concerns that you would like them to consider as they engage in their work. All committees will provide their recommendations and rationale, in writing, to the ETA president.